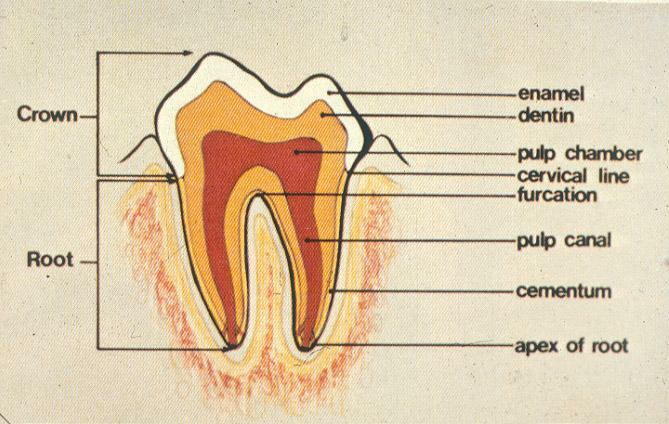 Teeth are comprised of four major components – Enamel, Dentin, Cementum, and Pulp, which you will learn about over the next few weeks. 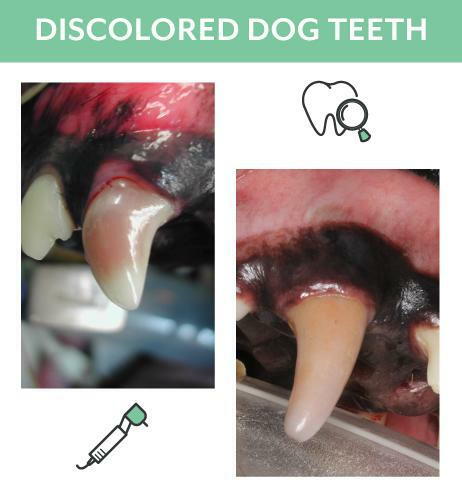 Discolored teeth indicate the tooth or teeth have been involved in blunt trauma such as, being hit by a car, running into a wall or excessive chewing on hard objects such as rocks, sticks, hard Nylabones, deer antlers, cow hooves, and other objects that do not soften when chewed. When a tooth is discolored red or pink, the blood supply to the tooth has leaked into the dentin. If left untreated, the contents of the root canal will become dead and when this occurs, the dead contents of the root canal will leak out the end or apex of the tooth causing oral pain, issue and bone destruction around the apex of the tooth. Eventually, this will cause the tooth and surrounding tissue to become infected and an abscess will result. 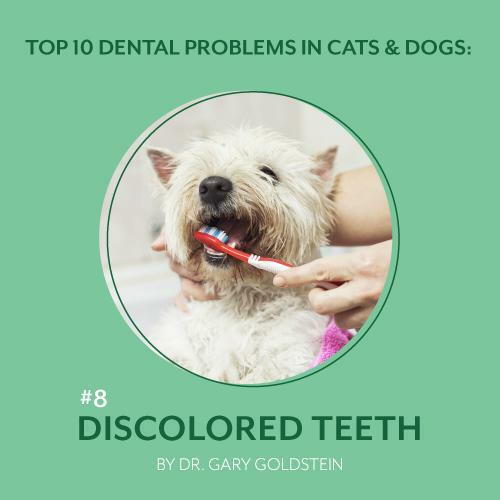 The treatment of choice is either root canal therapy or surgical extraction, and therefore you should bring your pet in to see your Veterinarian.